Martial Arts has always been a passion of Allan Clarke’s. For almost a decade, Clarke’s passion has manifested into a love for Brazilian Jiu Jitsu, in which he has a brown belt and is working towards his black belt. 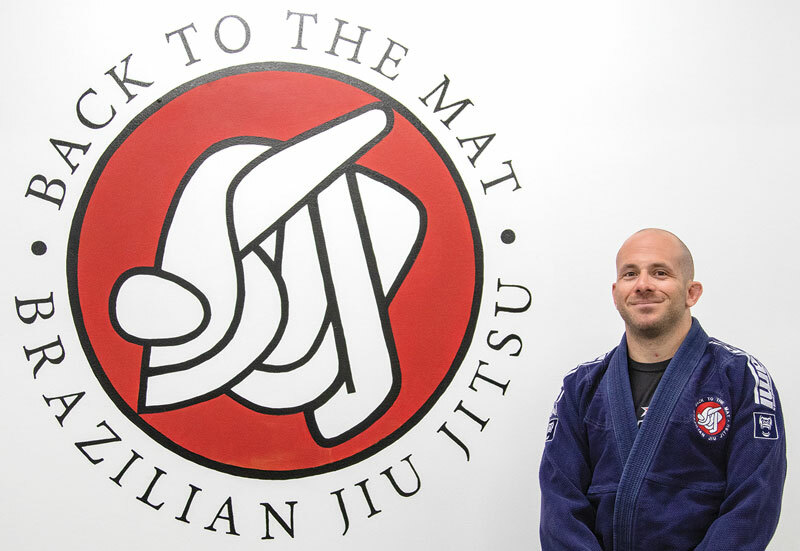 When the option to buy the Brazillian Jiu Jitsu studio, Back To The Mat, where he was working as an instructor came up, Clarke and his wife Rebecca Giannuzzi jumped on the opportunity. “We took ownership in August 2016,” said Clarke, who now has the dual role of owner and head trainer. He spends up to six hours a day, six days a week at the studio and does supplementary work from home. Continuing to train in Brazilian Jiu Jitsu, Clarke spends several hours a day honing his skills and working towards earning his black belt, something he considers professional development. As he improves in the sport, he also improves as an instructor. “I’m probably working 10-11 hours per day if you add everything together,” he said. The work he has been putting into the school has been paying off. “Weactually grew out of our space, so we had to expand, which is a great problem to have,” said Clarke. Whom recently completed the renovation to their current location. The renovation, which included installing all new mats in the gym, will now accommodate the 65 students who train there. When he and his wife do get some time away the couple likes to spend their time outside or at the movies. “The wife and I are pretty active, we like going fishing and camping in the summer,” he said. When they aren’t building fires or casting lines their other shared hobby is movies.